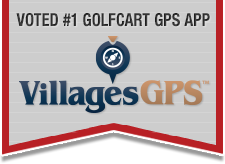 Talk of The Villages Florida / Talk of the Villages Forums / Villages GPS App / Talk to me? I just got this app and I assume it is supposed to talk through my phone. It doesn't. What settings are needed? After you click Start on any route... Make sure to then turn up the volume up on your phone and you will be good to go.